This area includes all groups that deal with service and outreach to the parish and larger community. The Committee fosters a greater awareness of Respect Life issues by supporting spiritual, pastoral care and advocacy within the parish. The Committee coordinates the annual October Respect Life activities and programs initiated by the Archdiocesan Respect Life Office. New members are always welcome. Contact Russell Lundsgaard: 847-724-6344. Elizabeth Ministers follow the example of the scripture story of the Visitation by bringing women together for mutual support. Our ministry helps the church community celebrate the gift of each child conceived and born, and fully mourn each miscarriage and infant death. We minister to the families of preschool children with a playgroup and bring welcome gifts to all the newly baptized infants. If the family is experiencing a crisis, we try to help by supplying meals. We strive to be a strong and consistent voice for life in our parish, community and world. Contact Toni Dautel at 729-7166 for more information. The ALMS program is a weekly collection for the poor. Each Sunday, a specific organization (announced in the bulletin and at Mass) is designated to receive the amount collected beyond the normal Sunday collection. Added to this amount is the money that is collected for the poor in the Eucharistic chapel. The ALMS committee chooses the groups. They are guided by the principles that the ALMS should go specifically to provide for food, clothing or shelter, the group should serve a number of people, the help is intended for immediate needs, the donation will be to groups that have greater needs/smaller budgets, and over time, the various recipient groups collectively represent a diverse number of issues and needs that encompass local, national, and worldwide outreach to the poor. The Welcoming Committee reaches out to new parishioners with Sunday brunches throughout the year to initiate a sense of community, to help welcome newcomers in feeling comfortable and "at home" in a caring and sharing environment, and to introduce them to our various organizations and ministries. Contact Rectory at 847-729-1414 for more details. The death of a loved one can be a painful experience that we all must face at some point in our lives. However, our Christian faith consoles us in so far as we believe that, for those who have died, life is changed not ended. The St. Catherine Laboure Bereavement Ministry supports those who are experiencing a loss and assists families in the process of grieving their love-one’s death. The Bereavement Ministry team is available to help a family who has lost a loved one with planning the funeral liturgy and provides follow-up support after the funeral. Contact the SCL Rectory at 847-729-1414 and a Bereavement Ministry Team member will return your call. The SVDP Society is an international Catholic lay association for works of charity which was founded in Paris in 1833. The Society has been active in the United States since 1845. The SCL St. Vincent de Paul conference, whose members are known as “Vincentians,” was formed in 2001 and is engaged in various activities, such as food and clothing drives, helping at the St. Thomas of Canterbury Soup Kitchen, a ShoeBox project for the homeless of Chicago Outreach, preparing and delivering meals to homebound parishioner and a Catholic Charities Shelter Program called “Project Home.” The Society also assists SCL parishioners as well as other community members facing financial difficulty; in such cases, two Vincentians visit the person requesting assistance and all conversations and assistance are held in strict confidence. For more information, or to request assistance, contact the SCL Rectory at 847-729-1414 and a Vincentian will return your call. This ministry is devised to serve the sacramental needs of those who are homebound because of age, handicaps or illness. This program also serves as a follow-up to those who have been hospitalized. For more information, contact the Rectory at 729-1414. Ministers of Care bring the Holy Eucharist to homebound parishioners and to residents in local nursing homes /rehab centers, as well as to Glenbrook Hospital. Parishioners are reminded to call the Rectory (847-729-1414) to arrange for a visit from a Minister of Care. A blood drive is held semi-annually. Please watch the bulletin for times and qualifications. SPRED embraces all to rejoice together so we are aware that Jesus is with us. SPRED welcomes children and adults with developmental disabilities. SPRED pairs our friends with special needs with anyone 21 years or older who welcomes God’s calling to form a meaningful 1:1 relationship within a small faith community. 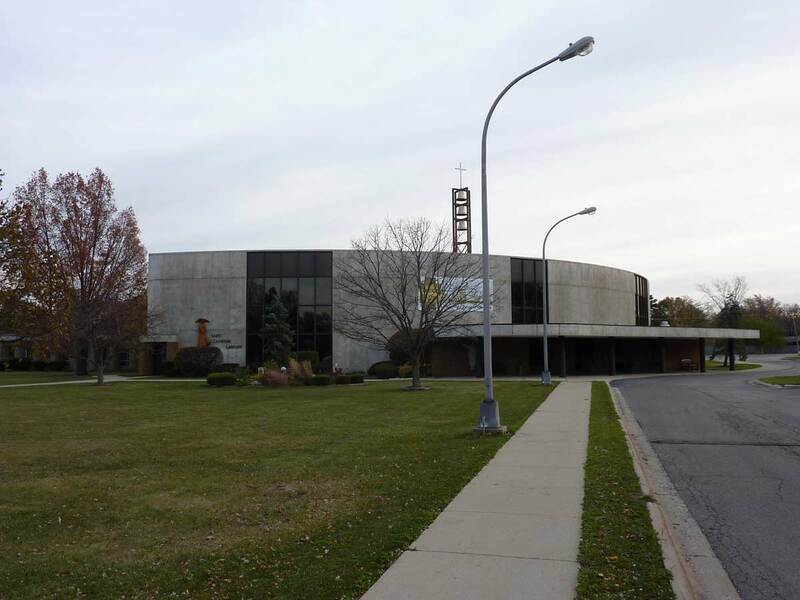 Our current area is served by SPRED centers located in the following parishes: Our Lady of Perpetual Help (6-10 year olds); St. Norbert (11-16 year olds); St. Catherine Laboure (17-21 year olds); and St. Issac Jogues (adults). Volunteers are most welcome! Are you willing to respond to a call for volunteers for our SPRED ministry here at St. Catherine Laboure? To explore with us a deeper, meaningful awareness of God in our lives? Our SPRED group at St. Catherine’s has four delightful young men, who share with us their humor, and their strength and passion to share our faith together. We will welcome new friends in the fall from our own parish that need catechists. As a volunteer, you will be guided in our formation process, through meetings, observations, and training until you are comfortable. Please consider this warm invitation to join our SPRED group. Please contact our SPRED our Lead Catechist, Madelynn Macur-Brousil at 847-724-6338 for more information.